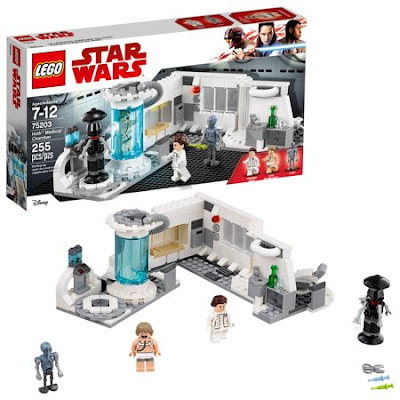 Right now over at Walmart.com you can score this LEGO Star Wars Hoth Medical Chamber for just $20.97 (Retail $29.99). This set contains over 250 pieces so your kiddos can create and play out scenes from the ice planet, Hoth! This foldout model features an opening bacta tank with space for Luke Skywalker, a rotating examination chair, bed, wash station, medical tools, a Princess Leia minifigure and 2 medical droids.